This is another post in my series of simple grammar explanations for elementary and beginner learners of English. 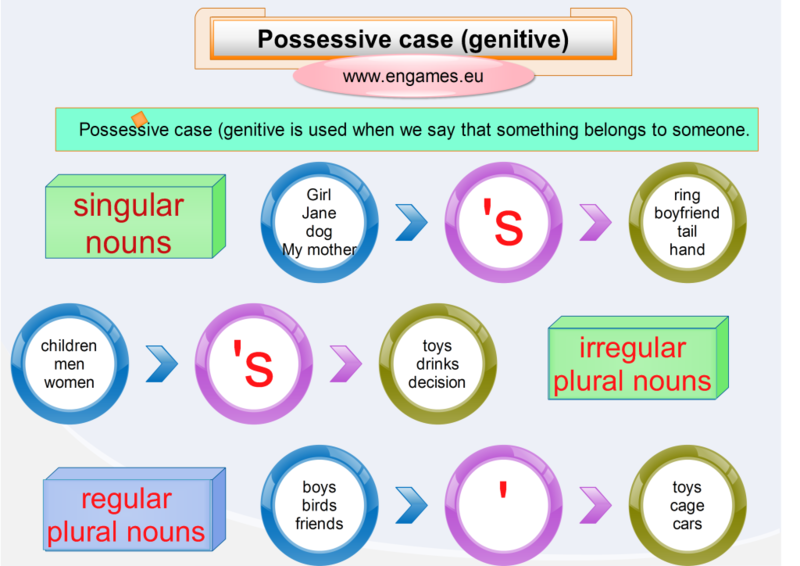 In this post I try to explain the usage of the possessive ‘s and ‘. There is a mind map and several exercises to check the students’ understanding of the grammar. If you think you understand the grammar, it is time to check out your understanding in the following games. The first game is in HTML5 and you can play it on any mobile device you like. Your task is to pass the quiz and if you get more than 70% of all your answers correct you will get a chance to play the game called Angry finches. Good luck. The second game is in flash and it will play only on your desktop. Your task is to choose the correct option and then win the fencing duel against the computer. Good luck! Grammar is really important if you want to learn a new language. However, vocabulary is the essence of a language. That is why we have come up with a new site to learn a lot of vocabulary. It is called envocabulary and you can find it at http://www.envocabulary.eu. Enjoy and learn. I find your webpage(s) and apps beyond helpful and I would like to express how glad I am to have access to them. Thanks a lot for being there.